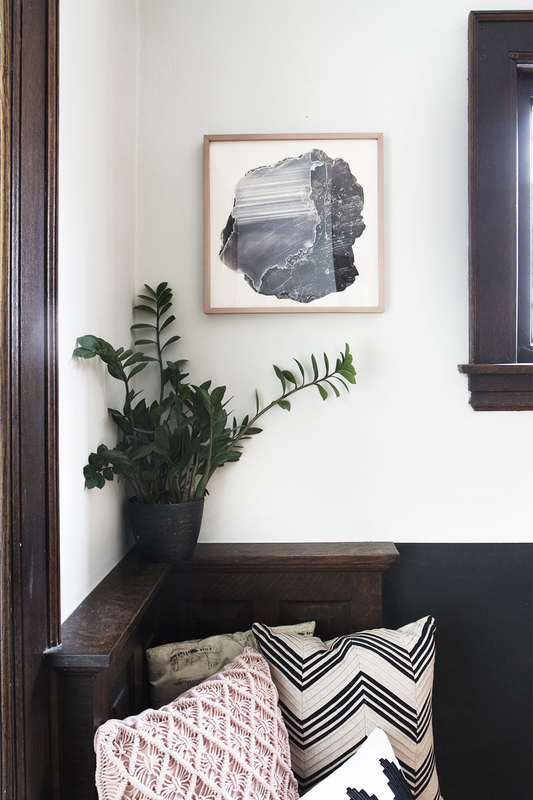 Now that the entryway is beginning to have a definite vibe, I was ready to pick out artwork. That was the easy the part, figuring out how to hang it has been way more challenging. I feel like I’ve gone on and on about how stumped I have been about this space, and I’m gonna keep going on about it, but the entryway as a space, is not conducive to any sort of cohesive design. This space has paralyzed me for six years — like I pretended the entryway didn’t exist, and that no one ever could see it, even though it was the first thing people would notice when entering our home. Then recently, I received a vision and now my entryway is actually looking kinda pulled together and nice. That is until this whole artwork hanging thing. 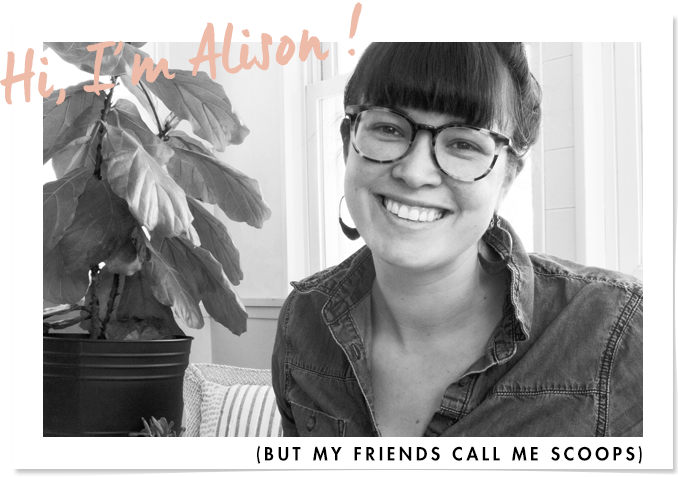 I hope you don’t hate that I am updating you with every little step along the way with this makeover, but it’s how I do. I know sometimes I like seeing the little steps in order to get a sense of the big picture and how it all comes together, and I hope you do too. That brings me to artwork. I knew for sure that I was going to be getting this artwork from Minted. My pal Cam has this print in her house and I die over it every time I see it. 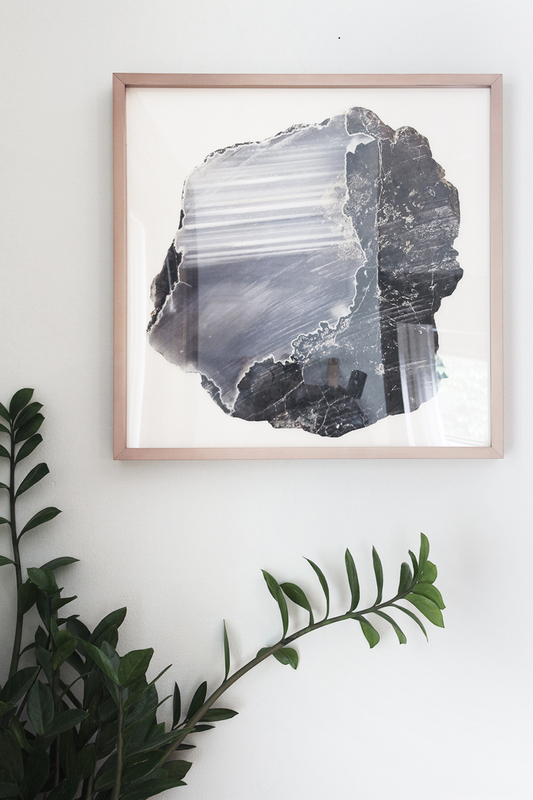 Although it looks like an illustration it’s actually a photograph of a crystal (aka mineral) taken by Chicago duo, Baumbirdy. They have a sister print that goes along with it too, and I almost went for it and bought both, but the colors just weren’t doing it for me. So where do I hang this gem? Damned if I know. Everything about the entryway is odd; the stairs, the bench, the piano window and the wall space. I could never figure out what it was that I should naturally be doing with the space. Do I hang multiple pieces of art, or just one, and should I go big or small, and should I center it on the horizontal alignment of the window even though it’s kind of absurdly high, or not. Holy balls, it has been killing me! So I made a decision. I purchased one piece of 16″x16″ art with a copper frame, and I hung it right up there next to the window. It works, it’s not the worst, I did it. 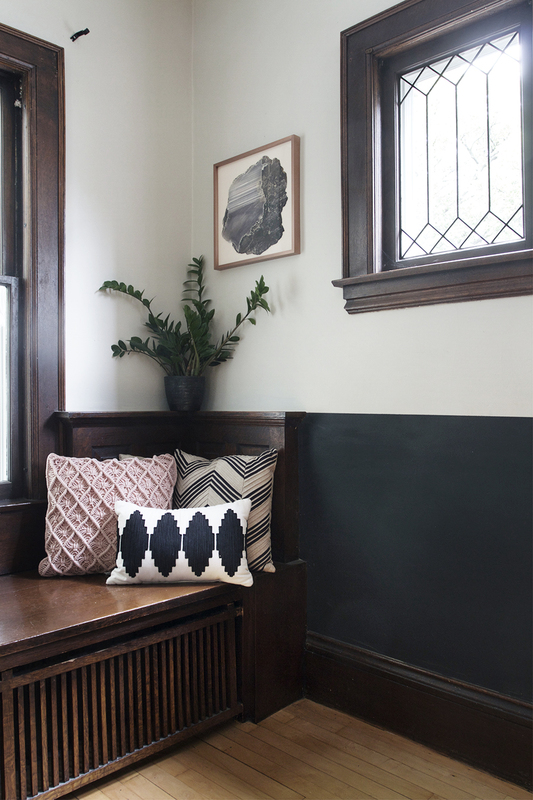 I’ve been enjoying this series on decorating your entryway. I really like how you break down each step,the thought that goes into each of these steps, and how that adds up to a beautiful space. It takes the mystery out of good design and makes it seem doable in my own space. You are really talented! Love it there! And love the copper frame! Not as good as your huge brass print, but ok.
I’m glad it was appreciated! 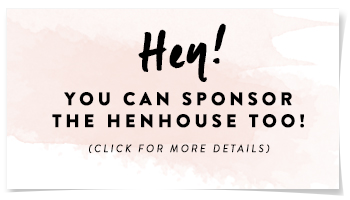 Oh my gosh–this fits your vibe so well! And this copper frame is so perfect. I’m into it all!